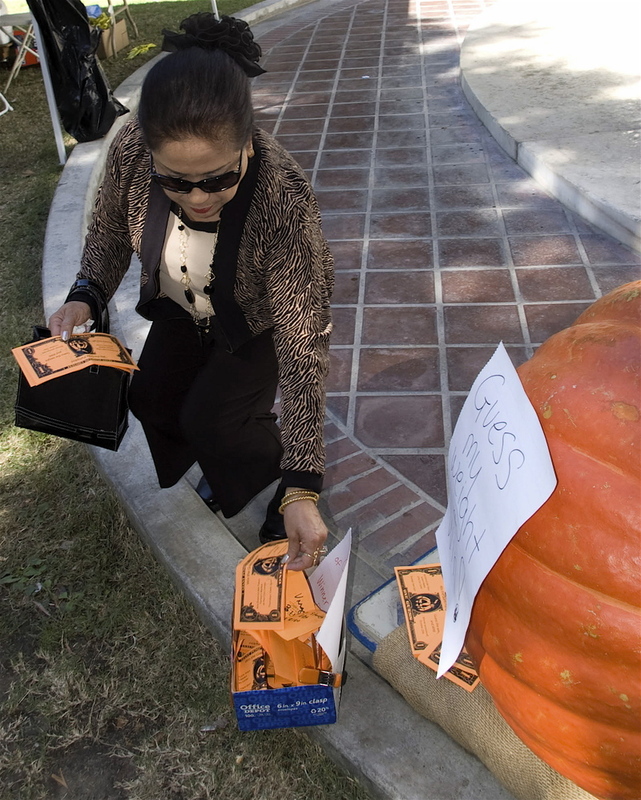 Roll the lovely parting gift back to the office: Downtown lunch-goers have until noon today to guess the weight of a large pumpkin that will be sitting on the south lawn of City Hall during the Farmers Market. 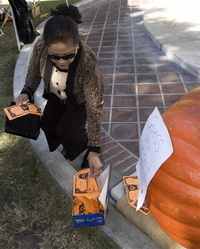 This civic center based accountant dropped in her guess last Thursday hoping to win, but wished to remain anonymous. The person who really should stay anonymous is the city engineer who last year estimated the weight of the big veggie as 37 pounds. Winner will be announced at 2 pm Thursday, October 25.